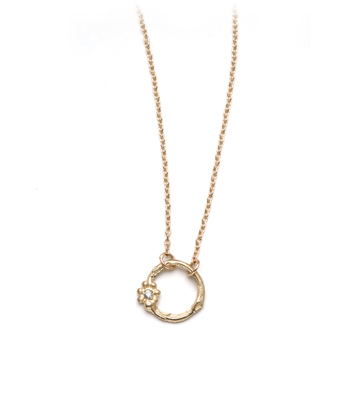 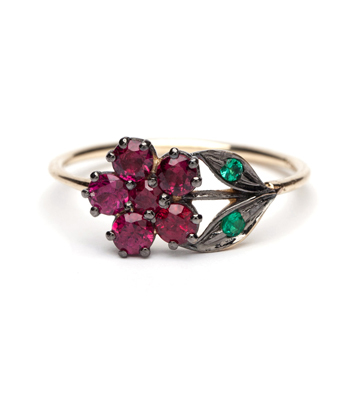 A delightful blend of vintage romance and whimsy, this adorable antique-inspired ruby flower necklace features a simple representation of a twinkling, gem-set flower. 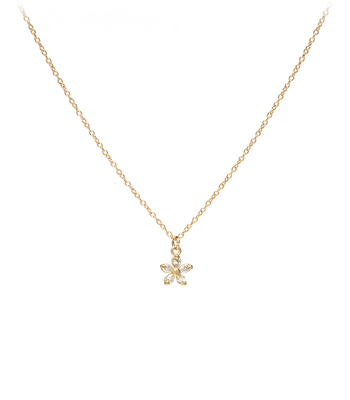 We are charmed by the child-like quality of the five rounded petals as well as the meaning of this flower. 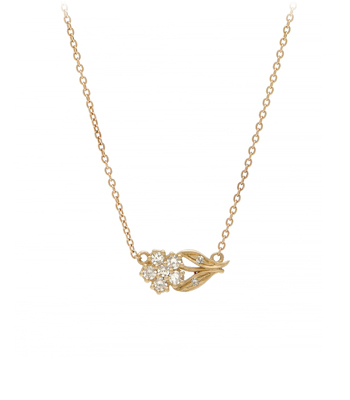 Legend hails it is a symbol of faithfulness and enduring love. 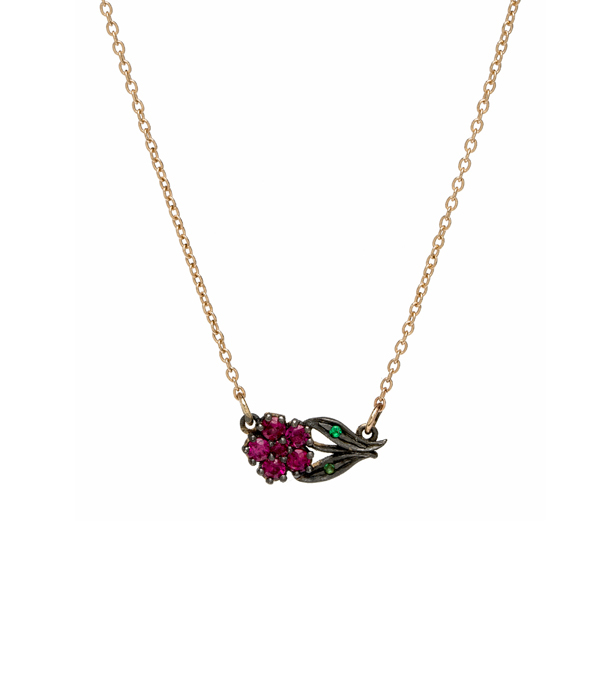 This charming necklace set with brilliant cut ruby petals and emerald accented leaves is one flower that never grows old!